Adrian Ioana was born in Romania (1981), he received his B.S. 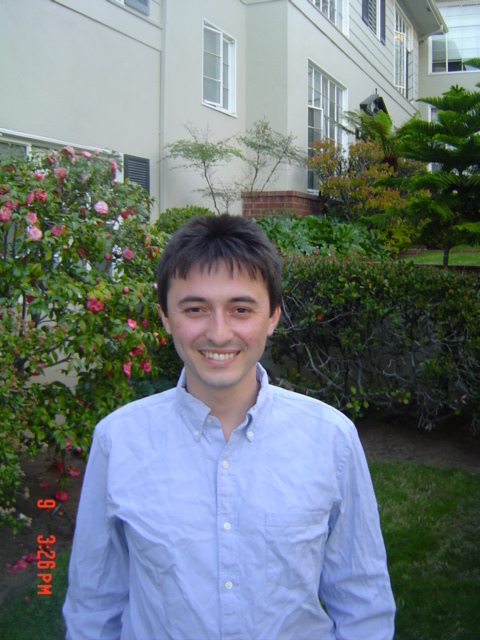 from Unversity of Bucharest and his PhD in 2007 from UCLA under the direction of Professor Sorin Popa. His research interests are von Neumann algebras and orbit equivalence. Adrian, together with Jesse Peterson and Sorin Popa, have proved the existence of a II_1 factor with trivial outer automorphism group. He also showed that any countable group which contains a free subgroup has uncountably many non orbit equivalent actions. Adrian was appointed as a Clay Research Fellow for a term of three years beginning August 2008.